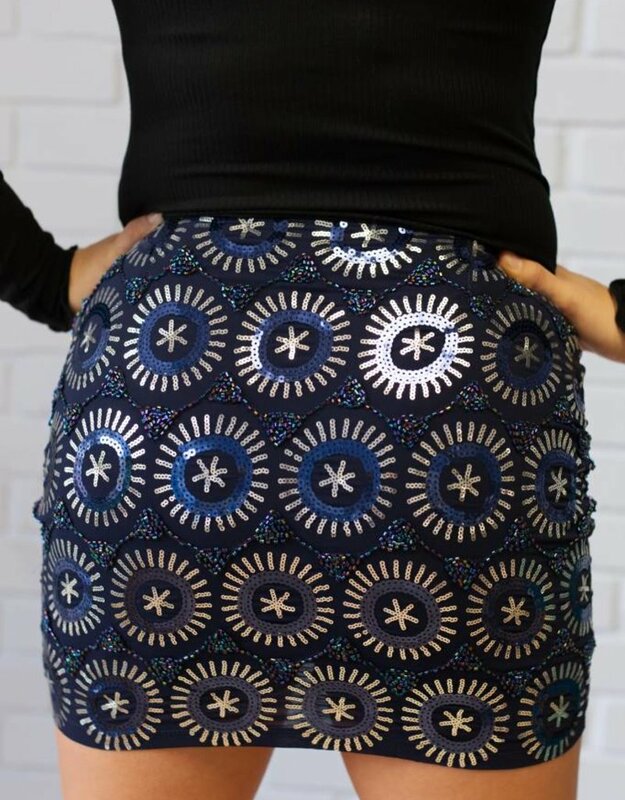 This skirt is so shiny and fun. Our Sierra mini skirt features sequins. You are going to look amazing in this skirt. Plus, we think this shirt will look great with a chunky sweater.